As California's four-year drought persists, residents are increasingly turning to water recycling systems that allow for reuse of so-called "gray water" from bathroom sinks, bathtubs, showers and washing machines. Interest in gray-water systems shot up immediately after California Governor Jerry Brown announced on April 1 a mandatory 25-percent reduction in water use by cities and towns in the state, AP reported. "There's huge interest," Laura Allen, a co-founder of Greywater Action, a proponent of household water recycling, told AP. Contractors "told us they're getting so many more calls than before," she added. The state has in recent years modified its plumbing codes and laws on the use of gray water, or non-potable runoff from household water sources that do not include pathogenic "black water" from toilets, which must be sent to wastewater treatment plants. Californians are now allowed to install safe gray-water systems without a permit. The systems can irrigate with untreated water from bathroom sinks, washing machines and showers, but only if the water runs underground beneath soil or mulch. The untreated water must not come into direct contact with people or food. For example, untreated gray water could be used on tomato plants but not to root vegetables. Some systems treat gray water for wider use. Water Recycling Systems of Redondo Beach, California says its process "filters and disinfects that water so it can be safely re-used for landscape irrigation and other permitted uses." California Building Industry Association executive Robert Raymer told AP there are numerous companies that are promoting in-home water recycling services. But not all approaches are the same. 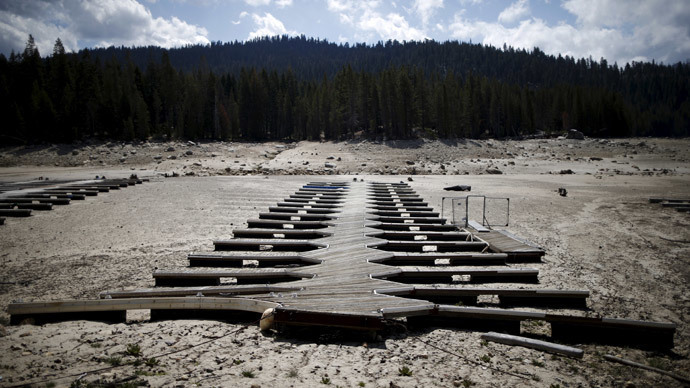 "Just like there's no one sure way to fight the drought, there's no one sure way for gray-water treatment," he said. "Everybody has to look at all the options and figure out what works for them." Residents of about 20 states are allowed to use gray-water recycling systems in one form or another, according to AP. Studies on the uses and effects of gray-water irrigation systems are ongoing. For instance, Dr. Raul Cabrera, research horticulturist at the Texas A&M AgriLife Research and Extension Center in Uvalde, said in October that the recycling of gray water in Texas from just household washing machines could save around 400,000 acre feet of water a year, which equals about 8 percent of the state's annual water use. Cabrera said his "research is particularly useful for application in urban areas where as much as 50 percent of household water is used for landscape irrigation." He added, however, that very few Texas municipalities have addressed legal installation of gray-water systems.